At the end of April this year, GlobeCore engineering team came to Saudi Arabia (Jeddah) to commission the CMM-0,6 unit. This equipment cleans electrical insulating oils with ISO cleanliness class 4406 – / 18/16 up to – / 14/12 class by multiple passes through the filter unit and removing mechanical impurities. The versatility of CMM-0,6 unit allows it to be used during installation, repair and operation of power transformers. The equipment is assembled in a container on a single – axle trailer. A storage inventory for various accessories and tools is provided in the front of the container. 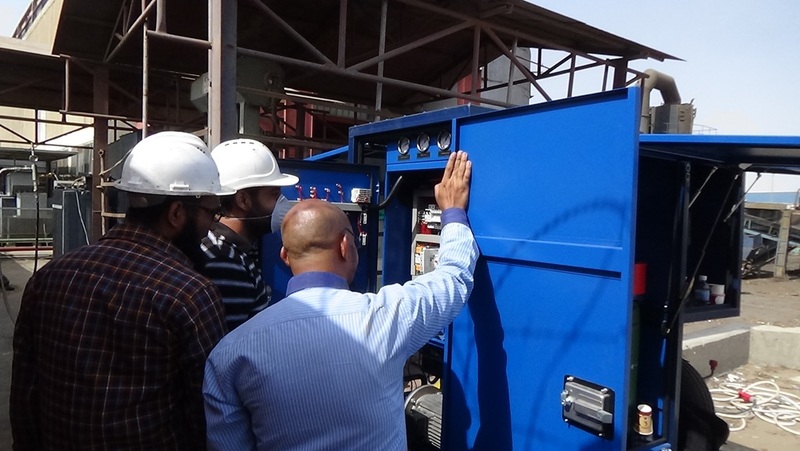 Also the unit is equipped with a TSS safety system, for safe connection to energized transformers. An operator sets the upper and lower oil levels ​​before starting work. In an event of a fault, the TSS system disconnects the transformer from the unit. TSS system can be used to connect different cleaning, filtration and regeneration equipment of various manufacturers to a transformer. It takes less than 5 minutes to start it operating. At customer’s request, TSS can be equipped with GSM-module, to control oil processing with the through mobile communication.